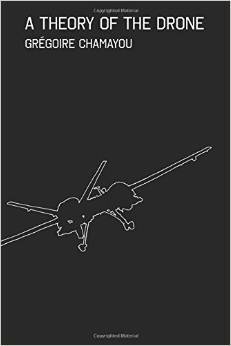 I have – at long last – finished the longform version of “Dirty dancing: drones and death in the borderlands“, which analyses drone strikes in Pakistan’s Federally Administered Tribal Areas and situates them within a wider context of military violence in the region. You can find it under the DOWNLOADS tab, but I’ve pasted the conclusion below; there’s also a video of the last presentation I gave under that title here. To make sense of the conclusion, I should explain that the essay opens by juxtaposing the killing of two people, Baitullah Mehsud (leader of the Pakistan Taliban) and Mamana Bibi (a village midwife), to pose the question: what kinds of spaces are the FATA made to be for incidents like these – incidents as unlike as these – to be possible? My answer works with two framing devices. The first is the space of exception – a space in which people are knowingly and deliberately exposed to death through the political-juridical removal of legal protections and affordances that would otherwise be available to them. 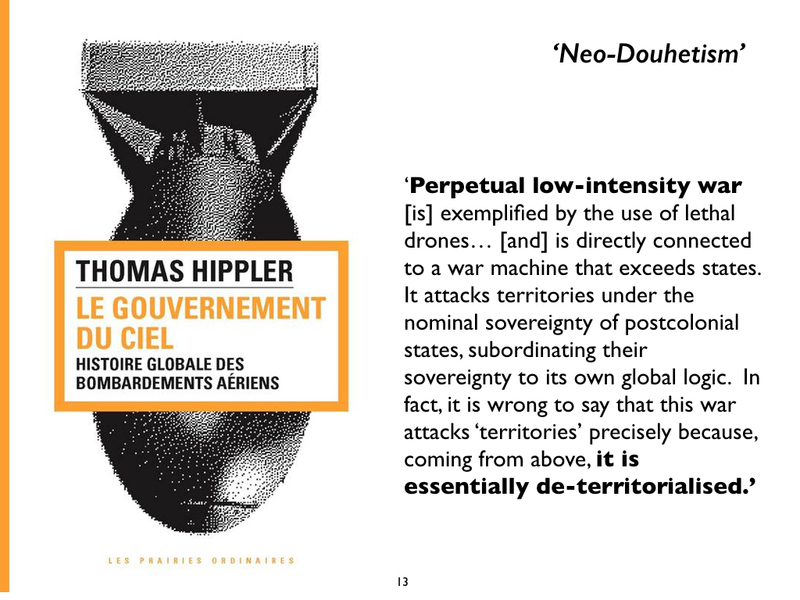 My version of this is different from that proposed by Giorgio Agamben, and far from invoking a suspension of the law I explore three legal geographies that have been used to prepare the ground for aerial violence in the borderlands. The second is the space of execution; here I riff off Owen Sheers‘ perceptive remark about ‘the territory of the screen’ (as I note, ‘Killing somebody with a Hellfire missile controlled from thousands of miles away depends upon a screen – or more accurately a series of screens – on which the image of a human body will eventually be touched by the cross-hairs of a targeting pod’). Owen’s phrase is much more than metaphor, so I treat ‘territory’ as a (bio)political technology whose calibrations enable states to assert, enact and enforce a claim over bodies-in-space (you can no doubt hear the echoes of Stuart Elden) and then explore the technicity involved in three of its screen elements that jointly transform the FATA into a space of execution: kill lists, signals intercepts and visual feeds. The production of the borderlands as spaces of exception and spaces of execution are attempts to force those who live there into particular subject-positions as a means of subjugation. These positions are partial and precarious but the project to establish them as legitimate and rational has consequences that are material and affective. They clearly affect those targeted – people like Baitullah Mehsud – whose political agency exceeds in terrifying ways the normative space allowed them by the state of Pakistan and the United States and in so doing brings their actions to the attention of both. 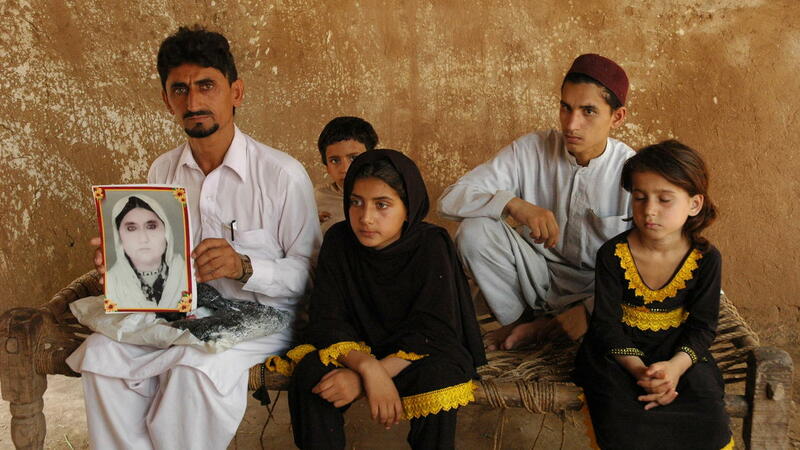 But they also impact the rest of the population in the FATA, constricting their mobilities and stoking their fears to such a degree that ‘normal life’ for many of them threatens to become a memory or a fantasy. Their existence is rendered more precarious because the subject-positions to which they are so brutally assigned are racialized. These are ‘tribal peoples’, different from those who inhabit ‘mainland Pakistan’, while the United States writes off their incidental deaths as ‘collateral damage’ whose anonymity confers on them no individuality only a collective ascription. 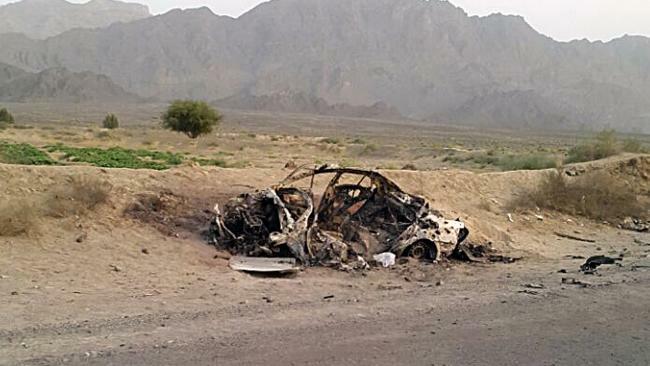 When a CIA-directed drone strike on a compound in the Shawal Valley of South Waziristan on 15 January 2015 was found to have killed not only a deputy leader of al-Qaeda in the Indian subcontinent and a local Taliban commander but also two hostages, an American development contractor and an Italian aid worker, a ‘grim-faced’ and ‘visibly moved’ Obama made a personal and public apology. [i] The rarity of the gesture is revealing. For the value of their lives was acknowledged and their deaths were made grievable in ways that others – which is to say Others – were not. Nobody has ever accepted responsibility or apologised for the death of Mamana Bibi or any of the other innocent victims of aerial violence. For this reason it is important to resist those versions of the space of exception that are complicit in the denial of agency to those who live within its confines. The state of Pakistan administers the inhabitants of the FATA through Political Agents: but this does not remove (though it does diminish) their own political agency. Pakistan’s armed forces conduct clearing operations that ruthlessly drive people from their homes and into camps for displaced persons: but this does not turn the FATA into one vast ‘camp’. The presence of US drones strips those who live under them of their well-being and dignity: but this does not reduce them to ‘bare life’. Similarly, the emergent subject that is produced within the space of execution, apprehended as a network trace, a sensor signature and a screen image, is a cipher that stands in for – and in the way of – a corporeal actor whose existence is not measured by the calculative alone. This version, or something very much like it, will appear in a collection edited by Caren Kaplan and Lisa Parks, Life in the Age of Drones. But an (even longer!) version will eventually appear in my own book, with images and maps (you can find many of them scattered through my previous posts: for example here, here and here), so I really would welcome any comments or suggestions if you have time to read the full thing: derek.gregory@ubc.ca. 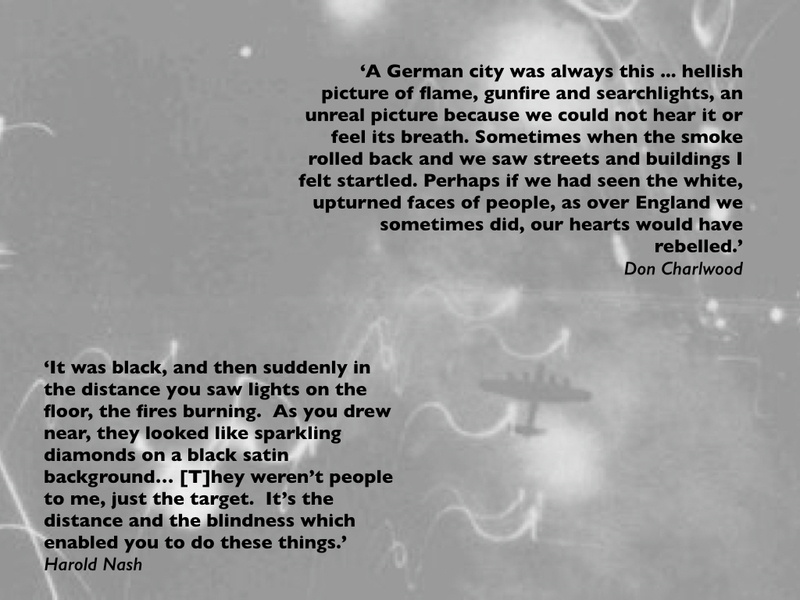 Sorry for the long silence – I’ve had my head down since soon after Christmas preparing the Tanner Lectures which I gave this past week in Cambridge [‘Reach from the sky: aerial violence and the everywhere war’]. The lectures were recorded and the video will be available on the Clare Hall website in a fortnight or so: more when I know more. 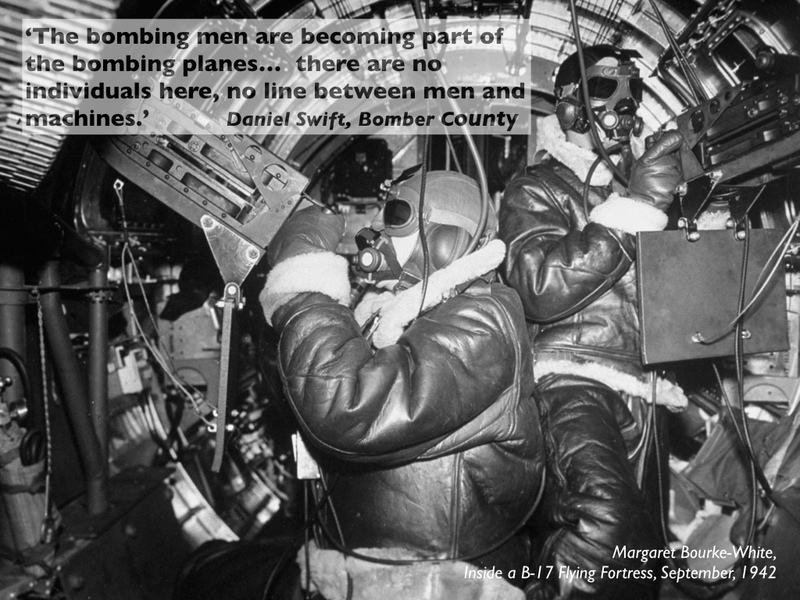 Bombing is back in the headlines but it never really left – and yet those who remain advocates of aerial violence don’t seem to have learned from its dismal history. 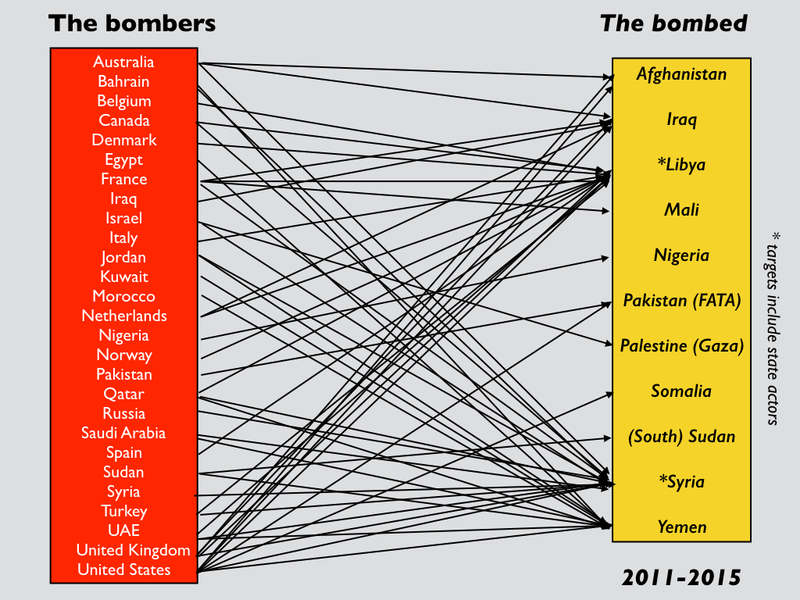 They also ignore the geographies that have been intrinsic to its execution, both the division between ‘the bombers and the bombed’ (the diagram below is an imperfect and fragmentary example of what I have in mind) and the pulsating spaces through which bombing is performed. (with apologies to Mahmood Mamdani….) 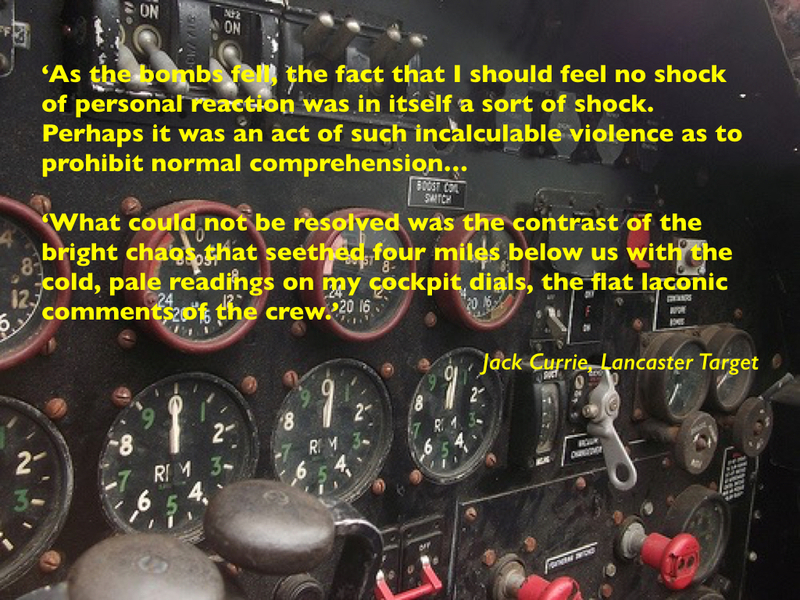 In the first part I traced The machinery of bombing from before the First World War through to today’s remote operations. 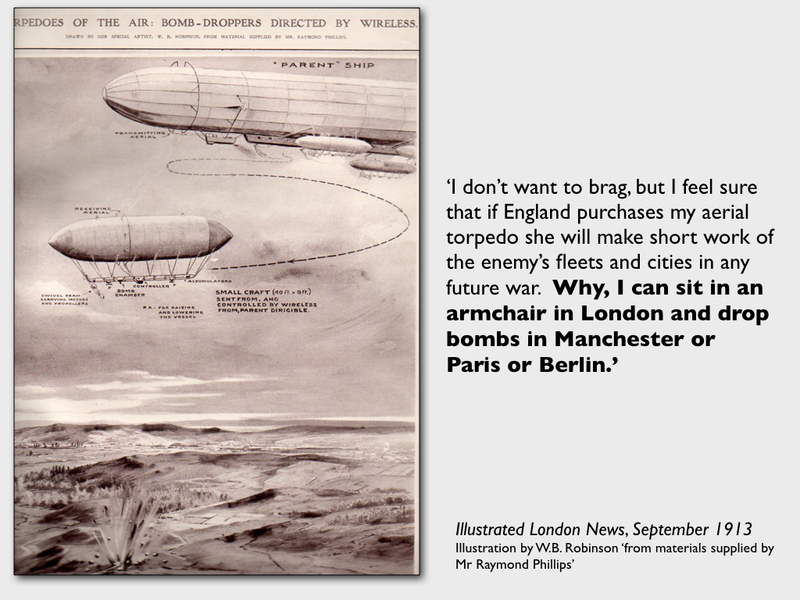 Even though most early commentators believed that the primary role of military aircraft would be in reconnaissance, it was not long before they were being used to orchestrate artillery fire and to conduct bombing from the air. This sequence parallels the development of the Predator towards the end of the twentieth century. 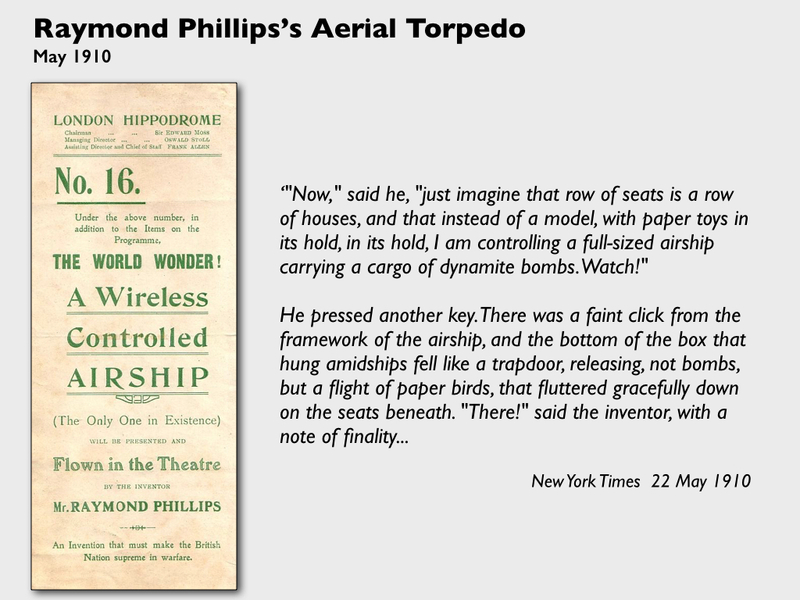 In fact, almost as soon as the dream of flight had been realised the possibility of ‘unmanned flight’ took to the air. 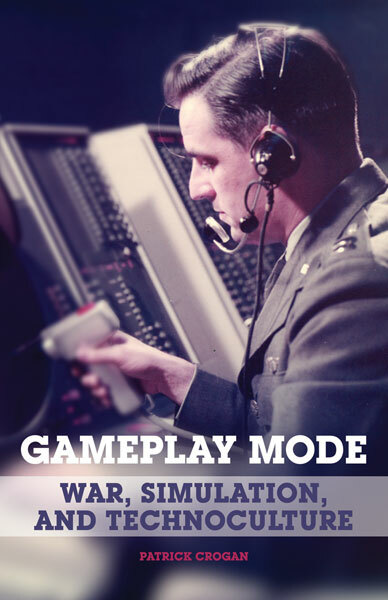 Perhaps the most significant development, though, because it directs our attention to the wider matrix within which aerial violence takes place, was the development of the electronic battlefield in Laos and Cambodia. I’ve written about this in detail in ‘Lines of Descent‘ (DOWNLOADS tab); the electronic battlefield was important not because of what it did – the interdiction program on the Ho Chi Minh Trail was a spectacular failure (something which too many historians have failed to recognise) – but because of what it showed: it conjured up an imaginative landscape, an automated killing field, in which sensors and shooters were linked through computer systems and automatic relays. 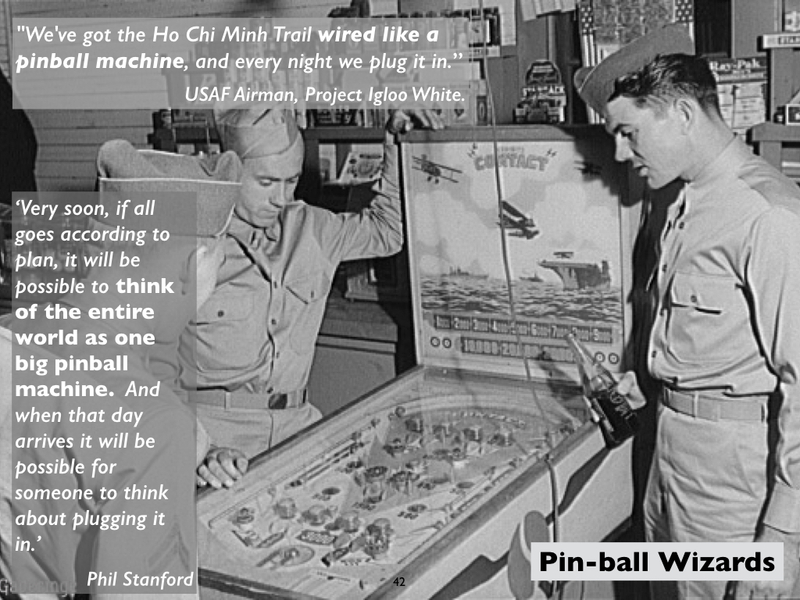 Contemporaries described the system as a vast ‘pinball machine’ (see the image below: you can have no idea how long it took me to track it down…). The analogy allowed me to segue into the parallel but wholly inadequate characterisation of today’s remote operations as reducing military violence to a video game. 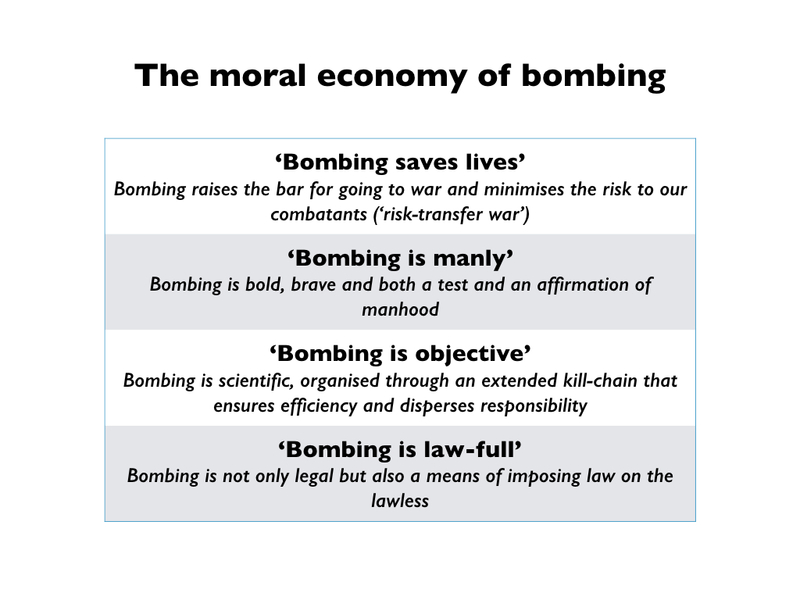 That is an avowedly ethical objection, of course, so I then turned to The moral economy of bombing. 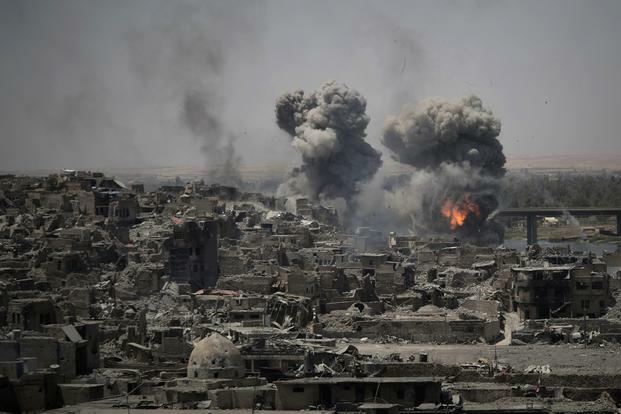 Here I dissected four of the main ways in which bombing has been justified. These have taken different forms at different times, and they intersect and on occasion even collide. But they have been remarkable persistent, so in each case I tracked the arguments involved and showed how they have been radicalised or compromised by the development of Predators and Reapers. 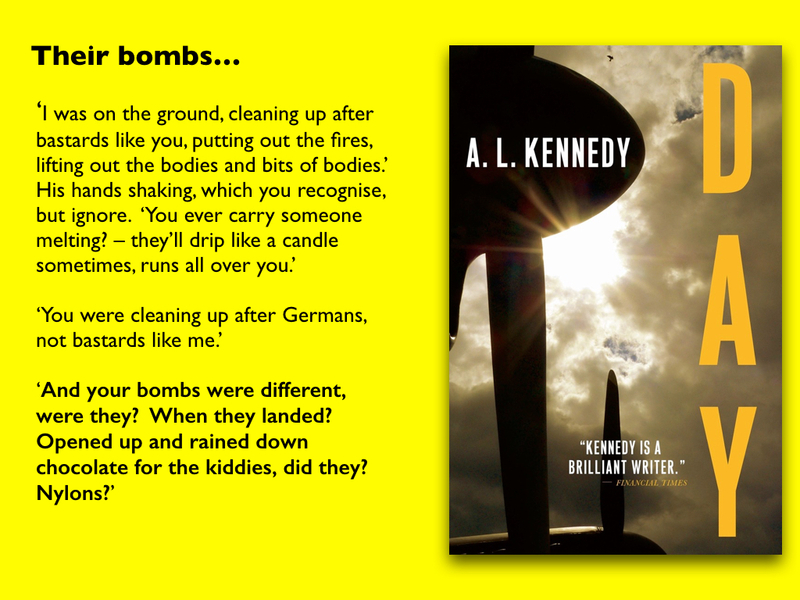 All of these justifications applied to ‘our bombs’, needless to say, which become ‘good bombs’, not to ‘their bombs’ – the ‘bad bombs’. A similar argument can be made about the US Air Force’s boast that it can now put ‘warheads on foreheads’, and I linked the so-called individuation of warfare to the US determination to target individuals wherever they go – to what Jeremy Scahill and others describe as the production of a newly expanded ‘global battlefield’. What lies behind this is more than the drone, of course, since these killing fields rely on a global system of surveillance orchestrated by the NSA, and I sketched its contours and showed how they issued in the technical production of an ‘individual’ not as a fleshy, corporeal person but as a digital-statistical-spatial artefact (what Ian Hacking once called ‘making people up’ and what Grégoire Chamayou calls ‘schematic bodies‘). Next I explored a different dialectical geography of the battlespace: Remote splits: intimacy and detachment. 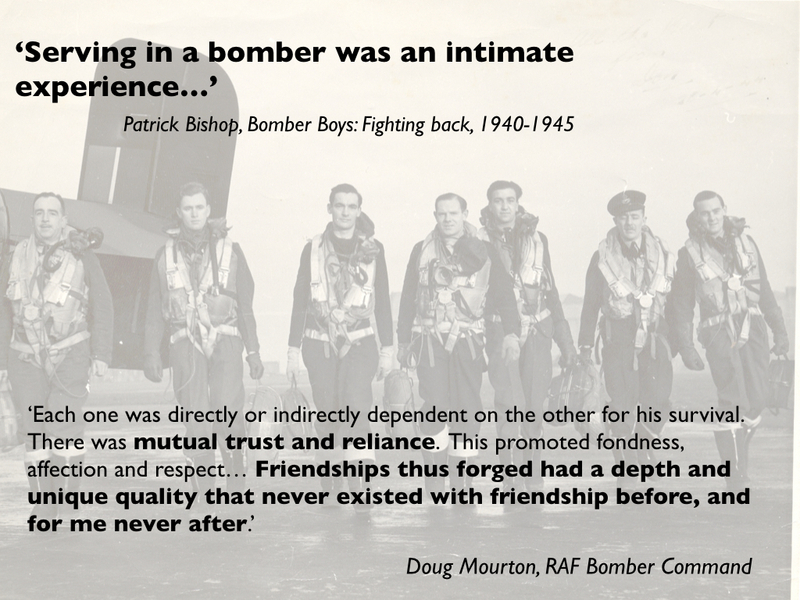 I started with RAF Bomber Command and traced in detail the contrast between the intimacy between members of bomber crews (a mutual dependence reinforced by the bio-convergence between their bodies and the machinery of the bomber itself) and the distance and detachment through which they viewed their targets. 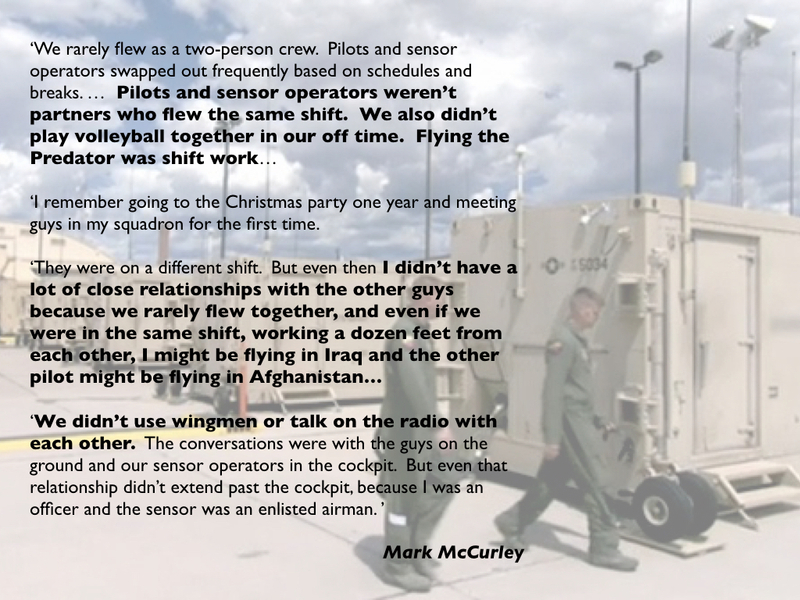 This is thrown into relief by the closeness remote operators feel to the killing space itself, an immersion made possible through the near real-time full-motion video feeds, the internet relay chatter and the radio communications with troops on the ground (where there are any). 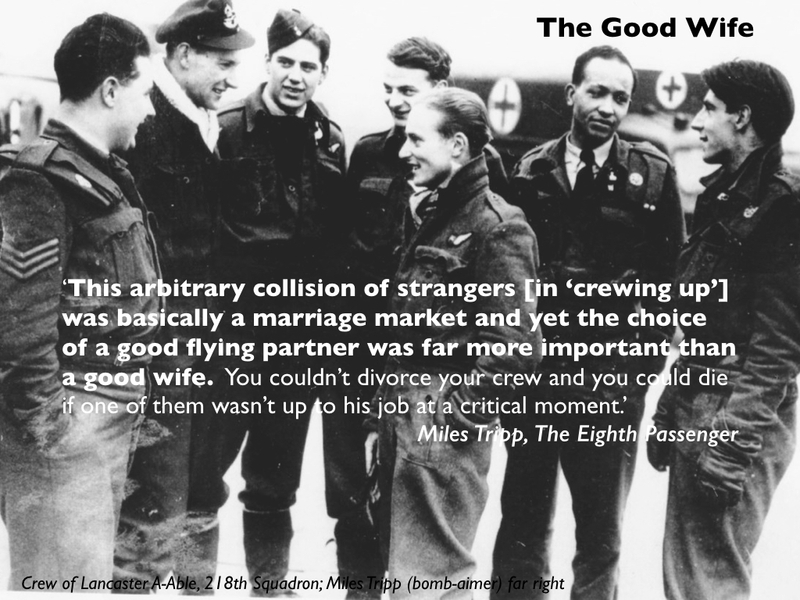 In contrast to the bomber crews of the Second World War – or those flying over the rainforests of Vietnam, Laos and Cambodia – there is a repeated insistence on a virtualized proximity to the target. 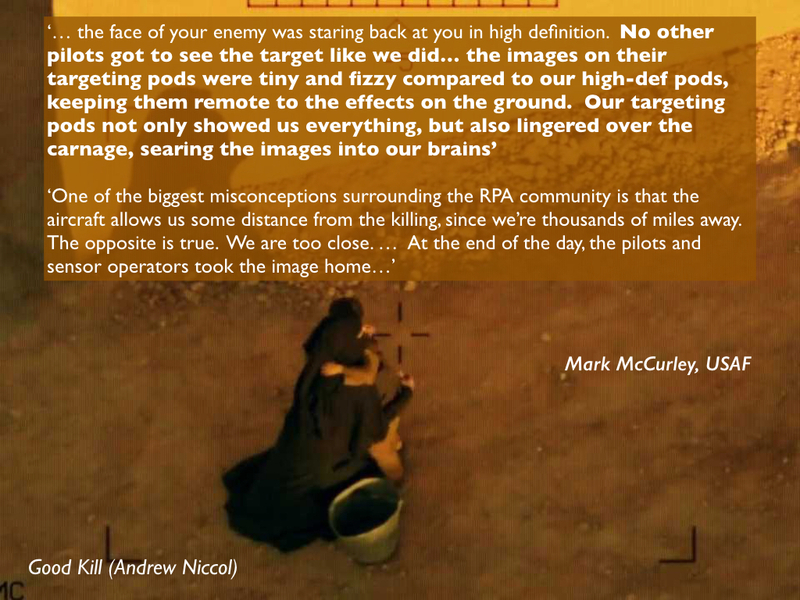 But I used a discussion of Andrew Niccol‘s Good Kill to raise a series of doubts about what drone crews really can see, as a way into the next section, Sweet target, which provided an abbreviated presentation of the US air strike in Uruzgan I discuss in much more (I hope forensic) detail in Angry Eyes (see here and here). That also allowed me to bring together many of the key themes I had isolated in the course of the two lectures. In the coming days I’ll post some of the key sections of the Lectures in more detail, which I’ll eventually develop into long-form essays. I learned a lot from the expert and wonderfully constructive commentaries after the Lectures from Grégoire Chamayou, Jochen von Bernstorff and Chris Woods, and I’ll do my best to incorporate their suggestions into the final version. 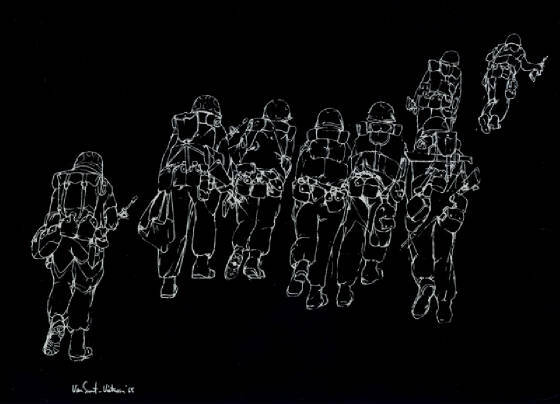 In his response Grégoire traced my project on military violence in general and bombing/drones in particular back to a series of arguments I’d developed in Geographical imaginations in 1994 about vision, violence and corporeality; I had overlooked these completely, full of the conceit that my work had never stood still…. I shall go back, re-read and think about that some more, since some of the ideas that Grégoire recovered (and elaborated) may be even more helpful to me now. Jochen and Chris also gave me much food for thought, so I shall be busy in the coming months, and I’m immensely grateful to all three of them. Three contributions to the debates over drones and military violence. First, my friends at the Bard Center for the Study of the Drone have published Dan Gettinger‘s essay on ‘Drone Geography: mapping a system of intelligence‘. 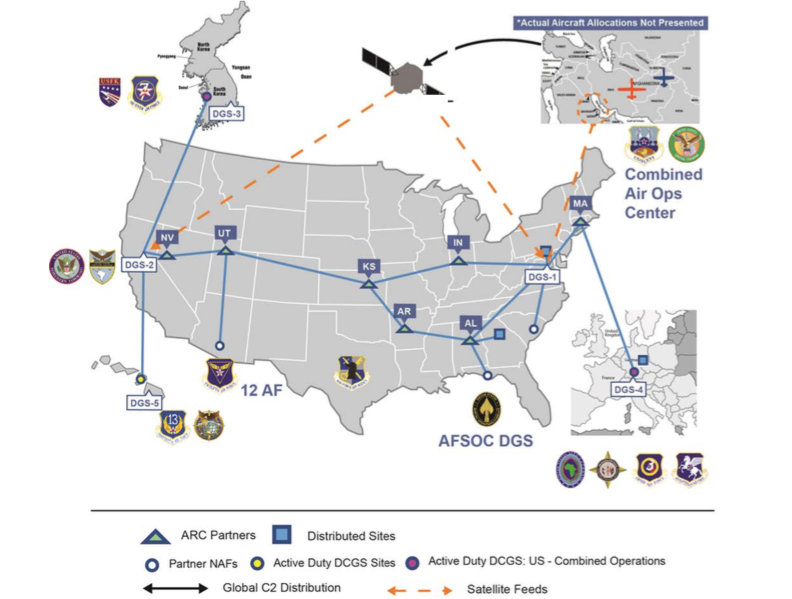 It’s a superb sketch of the intelligence network in which the US Air Force’s drones are embedded (you can read my complementary take on ‘Drone geographies’ under the DOWNLOADS tab). Let me add just one map to the illustrations that stud his essay. 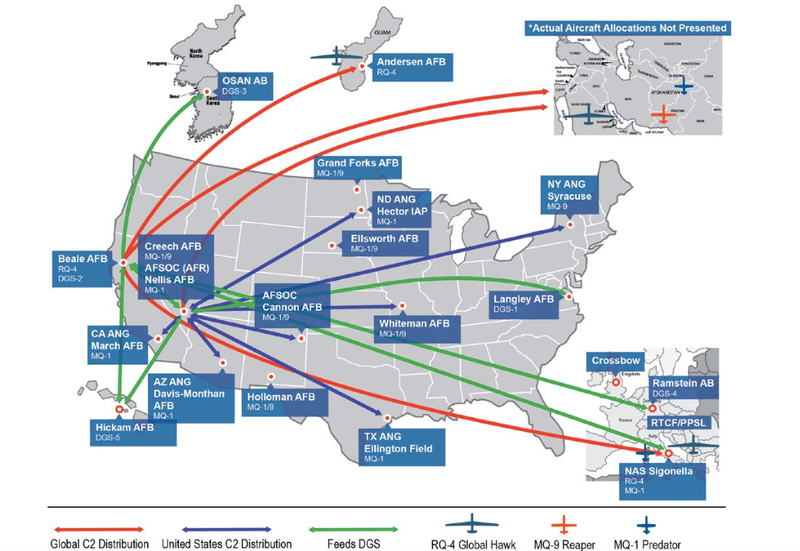 It’s taken from the Air Force’s RPA Vector report for 2013-28, published last February, and it shows the architecture of remote split operations within and beyond the United States. It’s helpful (I hope) because it shows how the Ground Control Stations in the continental United States feed in to the Distributed Common Ground System that provides image analysis and exploitation (shown in the second map, which appears in a different form in Dan’s essay). I’m having these two maps combined, and I’ll post the result when it’s finished. Dan is right to emphasise the significance of satellite communications; much of the discussion of later modern war and its derivatives has focused on satellite imagery, and I’ve discussed some of its complications in previous posts, but satellite communications materially shape the geography of remote operations. The Pentagon has become extraordinarily reliant on commercial providers (to such an extent that Obama’s ‘pivot to the Pacific’ may well be affected), and limitations of bandwidth have required full-motion video streams from Predators and Reapers (which are bandwidth hogs) to be compressed and image quality to be degraded. Steve Graham and I are currently working on a joint essay about these issues. 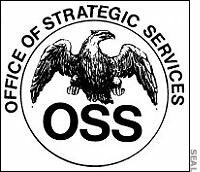 One caveat: this is not the only network in which US remote operations are embedded. In my essay on ‘Dirty Dancing’ (now racing towards the finish line) I argue that the CIA-directed program of targeted killing in the Federally Administered Tribal Areas of Pakistan cannot be severed from the multiple ways in which the FATA have been configured as both borderlands and battlefields and, in particular, from the cascade of military operations that have rendered the FATA as a space of exception (in something both more and less than Agamben’s sense of the term). Here I’ve learned much from an excellent essay by Elizabeth Cullen Dunn and Jason Cons, ‘Aleatory sovereignty and the rule of sensitive spaces’, Antipode 46 (1) (2014) 92-109). They complicate the claim that spaces of exception always derive from a single locus of sovereign power (or ‘the sovereign decision’). Instead, they suggest that borderlands are ‘contested spaces’ where ‘competing’ powers ‘collide’. In the FATA multiple powers have been involved in the administration of military violence, but on occasion – and crucially – they have done so in concert and their watchword has been a qualified and covert collaboration. In particular, the FATA have been marked by a long and chequered gavotte between the militaries and intelligence services of the United States and Pakistan which, since the 1980s, has consistently put at risk the lives of the people of the borderlands. And in my essay on ‘Angry Eyes’ (next on my screen) I argue that the US military’s major use of Predators and Reapers in Afghanistan – orchestrating strikes by conventional aircraft and providing close air support to ‘troops in contact’ – depends on communication networks with ground troops in theatre, and that this dispersed geography of militarised vision introduces major uncertainties into the supposedly ‘precise’ targeting process. While his title promises theory, we instead are treated to a digression on the military and social ethics of attacks from the air, in which Chamayou asks without irony, “can counterinsurgency rise to the level of an aero-policy without losing its soul?” What offends Chamayou is the “elimination, already rampant but here absolutely radicalized, of any immediate relation of reciprocity” in warfare. This, we are told, is the problem. And so, dispatching with the dream of the drone … Chamayou assumes the concerns not of the brutalized but of military leaders and soldiers. 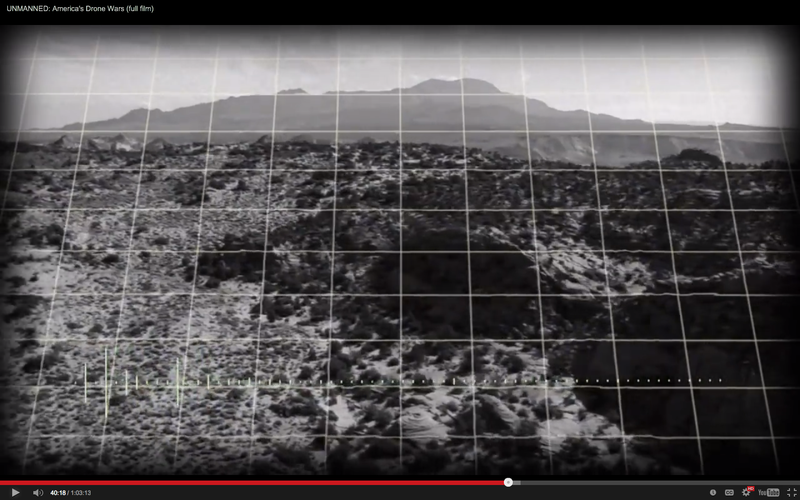 By combining knowing (intelligence, surveillance, reconnaissance), sighting (targeting in movement and in the moment), and eliminating (“putting warheads on foreheads”), the drone constitutes an assemblage of force (as drone-theorist Derek Gregory puts it) that promises a revolution in control and allows the US war apparatus to imagine space and politics in new ways. Because the body of the accused can ostensibly be precisely seen, it can be seen as itself carving out a body-sized exception to state sovereignty over the territory on which that body moves. In this way, eliminating the body does not constitute an assault on the territory of the state, as these bodies are presented as ontologically (and hence quasi-legally) disconnected from that territory. Geographer Stuart Elden in Terror and Territory (2009) points out the significant overlap between who are labeled ‘terrorists’ and movements fighting for their own political spaces – which hence necessarily violate extant states’ ‘territories’ (and hence the entire international order of states): to violate territory is to terrorize. The US is hence remarkably concerned in its arrogation of a position of supra-sovereignty to ensure that it overlaps with ‘classic’ state sovereignty, and by no means violates the norm of territorial integrity (well-defined borders): by harboring or potentially harboring unacceptable transnational desires, the militant uproots himself, and risks being plucked out and vaporized in open space that belongs only to him. The exception to sovereignty provides the drone the opportunity to extend this exception into temporal indefiniteness: wars are not declared, aggressions are not announced—the fleet, fusing police and military functions, merely watches and strikes, constantly pruning the ground of human weeds. In ‘Dirty Dancing’ I’m trying to prise apart – analytically, at least – the space of exception, conceived as one in which a particular group of people is knowingly and deliberately exposed to death through the political-juridical removal of legal protections and affordances that would otherwise be available to them, and territory conceived (as Stuart suggests) as a political-juridical technology, a series of calculative practices that seeks to calibrate and register a claim over bodies-in-spaces. That’s why Dan Gettinger’s essay is so timely too, and why I’ve been thinking about the FATA as a performance of what Rob Kitchin and Martin Dodge call ‘code/space’, why I’ve been working my way through the files released by Edward Snowden, and why I’ve been thinking so much about Louise Amoore‘s superb critique of The politics of possibility: risk and security beyond probability (2013). 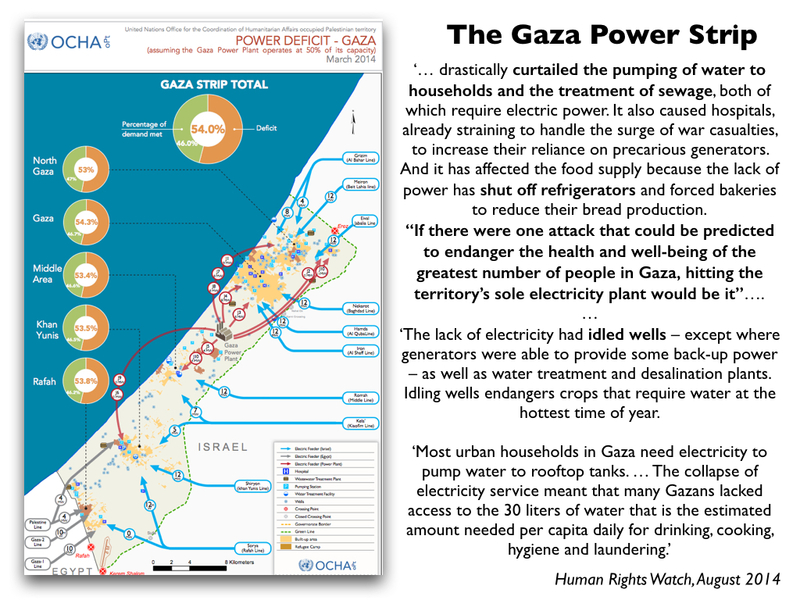 And finally, Corporate Watch has just published a report by Therezia Cooper and Tom Anderson, Gaza: life beneath the drones. 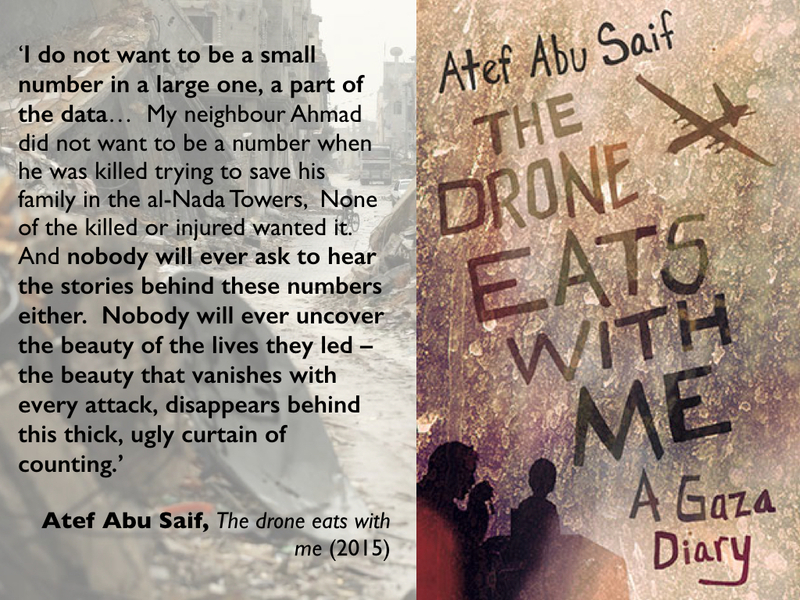 This brings together a series of interviews conducted in 2012 – when ‘drones killed more people in Gaza than any other aircraft’ – that were first published in serial form in 2014. The report includes a tabulation of deaths from Israeli military action in Gaza and those killed directly by drones (2000-2014) and a profile of some of the companies involved in Israel’s military-industrial complex. This paper (for General Organology conference [held last month at the University of Kent]) will explore the expansion of military drone usage by Western powers in the “war on terror” over the last decade or so in relation to Bernard Stiegler’s organological approach to questions concerning human historical, cultural and technological becoming.. Theorists approaching drones from different fields such as Grégoire Chamayou, Derek Gregory and Eyal Weizman have argued that the systematic and growing deployment of unmanned aerial vehicles should be understood as the “avant-garde” of a general movement toward remote and increasingly autonomous robotic systems by all branches of the armed forces of the U.S. and many of allies and competitors. These developments put into question all established cultural political, legal and ethical framings of war, peace, territory, civilian and soldier in the societies of the “advanced powers” on behalf of which these systems are deployed. Animating this indetermination is what Chamayou calls the “tendency inherent in the material development of drones” leading to this profound undoing of cultural and geopolitical moorings. I will explore the organological nature of this tendency inherent in drone materiality and technology, concentrating on the virtualizing, realtime digital developments in remotely controlled and increasingly automated robotic systems. The projection of a simulational model of the contested space over the inhabited world is a constitutive part of this tendency. Indeed, the inhabitants of the spaces of concern in the war on terror—which in principle and increasingly in practice are everywhere—are better understood as environmental elements or “threats” in what simulation engineer and theorist Robert Sargent has called the “problem space” the computer simulation designer seeks to model conceptually in order to make the simulation serve as an effective solution. A specifically designed spatio-temporality is enacting a performative, “operational” and automated reinvention of the lived experience of both inhabiting and contesting the control of space in time. If, as the above writers have shown, this projection of and over “enemy territory” has clear precedents in European colonialist strategies and procedures, what is unprecedented today is the digitally-enabled expansion and intensification of this spatio-temporal reanimation of the world. 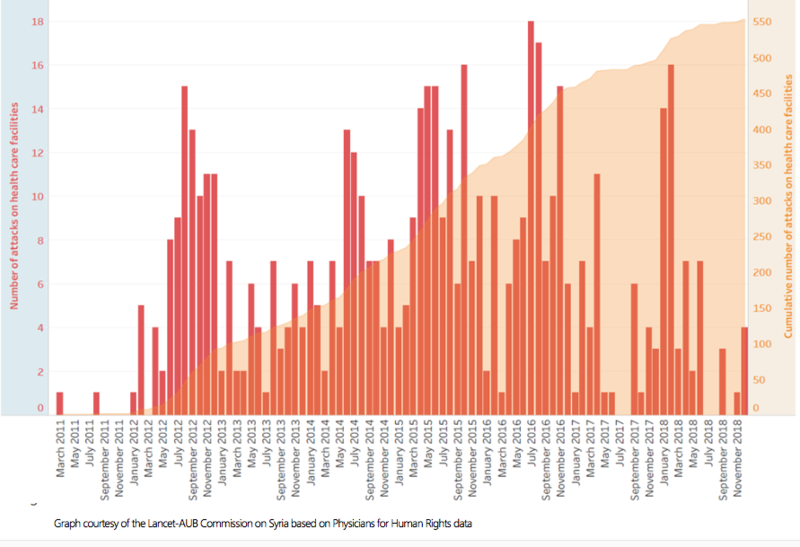 This reanimation must be understood as key contributor to a transformative and extremely problematic pathway toward the automation of military force projection across the globe. This essay will analyse the nature and implications of these transformative digital modellings of the enemy in and as milieu, a milieu as tiny as the space around a single ‘target’ and as large as the world, existing both in a brief “window of opportunity” and within a permanent realtime of preemptive pan-spectrum surveillance. From an organological perspective developments in drone technics must also be approached as a particularly pressing political and ethical challenge of the global transformations of human technicity in the digital “epoch”—or rather, in the generalised crisis of epochality and spatio-temporal orientation that Stiegler sets out to thematise and respond to in his “philosophical activism”. If as Stiegler provocatively suggests in Technics and Time 1: The Fault of Epimetheus) human being had a “second origin” in the historical development of the West which achieved its culmination its “worldwide extension”, it is one whose epoch has led us tendentially and increasingly rapidly to the crisis of ethnocultural idiomatic differentiation and specificity (as he argues in Technics and Time 2: Disorientation). The history of Western techno-capitalist, imperial colonisations, wars and subsequent post-colonial globalisation is attaining its full extent and its exacerbation, readable in the above noted indeterminations of war, peace, sovereignty, citizenship and so on. What goes with this is a doubled movement (which Virilio termed “endocolonisation”) of intensification of the reorganisation of social and individual surveillance, control and regulation via realtime, pervasive digital technical regimes. The systematic deployment of computational abstraction, simulational virtualisation and anticipatory, realtime preemptive materialisation of this doubled movement is perceivable in all its cultural-political, conceptual and technological complexity in drone technics. Indeed, drones are a major driver of research and development in automation and AI for the spectrum of what the U.S.A.F calls the “perceive and act vector”, as well as for “big data” processing in realtime to handle ever-growing monitoring and surveillance feeds. Today a voluntarist and cynical (and nihilist in Stiegler’s view) adoption of the automatising potentials of digital technics supports the rapid advances in drone systems (and I have proposed that an “elective naivety” sustains this in the academy, across scientific and humanities disciplinary contexts). From Stiegler’s organological perspective, I will argue that the autonomy of human agency is always composed with various automated functions that form part of our material, prosthetic conditions of existence. By addressing some of the inherent contradictions arising from the proposed development of fully autonomous military robotic systems, I hope to contribute toward the urgently needed “redoubling” of the first adoption of the possibilities of digital automation evidenced in drone technics (as the “logical” outcome in strategic-political terms of the latest advances of computer technology). 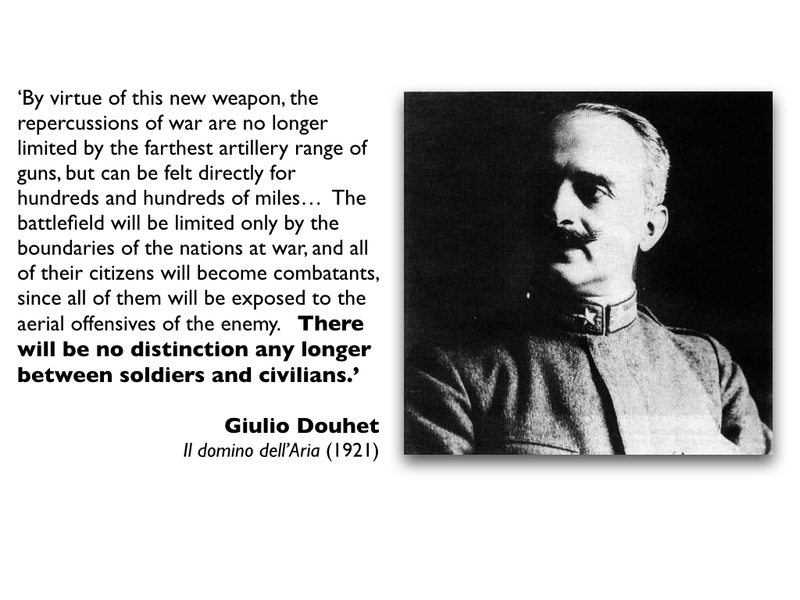 To “re-double” technocultural becoming reflectively, critically, in the name of a less inhuman potential of automated digital technics is the responsibility of those able to read and write, to reflect and respond to the accelerating epochal transformation of the world in this “our” era of the permanent war on terror. This is the horizon in which “we” maintain the possibility of a non-inhuman future (or further “re-birth”) for contemporary humanity. For, as Stiegler has argued in What Makes Life Worth Living, this is a better way to think the present and future than that implied in the term “post-human”, for the human remains a project and a projection and not a superceded entity. 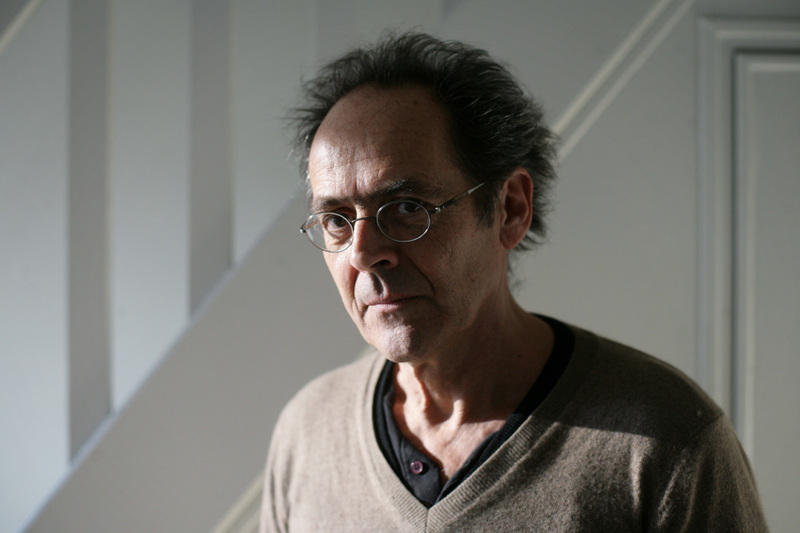 Bernard Stiegler (above) was a keynote speaker at the conference, and if you want some tantalising glimpses into some of the other possibilities opened out by his ideas for the analysis of drones, I’d recommend James Ash, ‘Technology and affect: Towards a theory of inorganically organised objects’, Emotion, space and society (in press, 2014) – incidentally, James reviews Gameplay mode in Cultural politics 8 (3) (2012) 495-497 – and Sam Kinsley‘s ‘The matter of virtual geographies’, Progress in human geography (2014) 38 (3) (2014) 364-84. Theory of the drone 12: ‘Killing well’? You can also find my essay on ‘Drone geographies’ from Radical Philosophy (2014) under the DOWNLOADS tab. 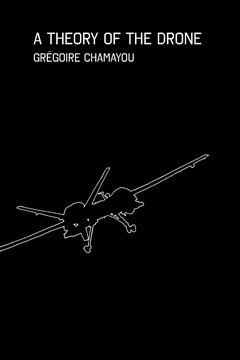 Meanwhile over at the Funambulist Papers, Stuart Elden suggested one way of wiring Grégoire’s previous book Manhunts to Theory of the drone here, while Grégoire’s own postscript (which suggests another route) is here. Expect more commentary once the English edition is out. But, as I asked in a previous post on our martial Arts, what if that humanist tradition is already, constitutively compromised through its entanglement with military (and now we obviously need to add paramilitary) violence? 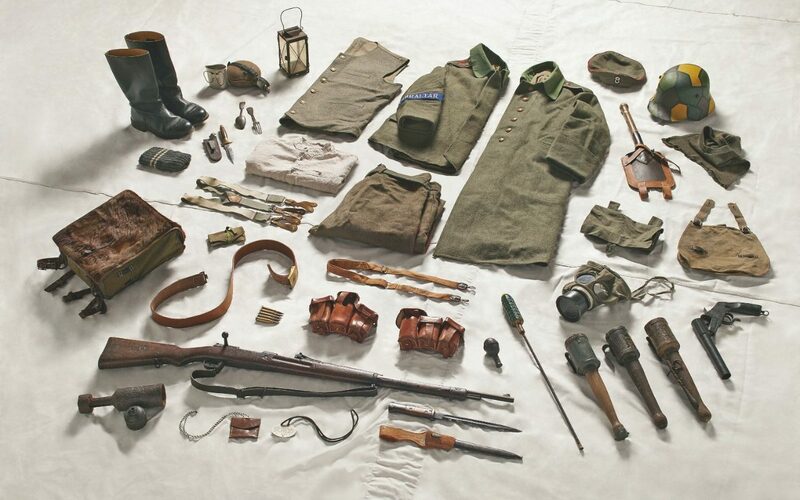 Too often, I think, we approach that relationship either in instrumental terms – in the case of my own field, a series of indictments of the ways in which, in Yves Lacoste‘s resonant phrase, la géographie, ça sert, d’abord, à faire la guerre; you can see a similar approach in opposition to the enlistment of anthropologists and others in US counterinsurgency operations and Human Terrain teams – or in philosophical terms (‘epistemological violence’, f, example). Both are important, to be sure, but for them to work in concert we also need a political genealogy of the conceptual armatures deployed in (and beyond) the humanities and social sciences, mapping the ways in which the construction of our key concepts circulates in and out of other concrete practices. That’s one of the reasons I’m so interested in Stuart Elden‘s retro-midwifery at ‘The Birth of Territory‘, though I’m drawn more to its adult (and no less bloody) adventures. Those entailments are not purely discretionary, a matter of preferring this concept over that, and without wanting to return to or even supplement Jürgen Habermas‘s delineation of ‘knowledge-constitutive interests’ I’m left wondering how the production of concepts is implicated in the operations of power, including military power, and how their performative potential (practical and rhetorical) is realized. I’ve never seen the university as an Ivory Tower – and I’m not suggesting it’s a Missile Silo either – but, as I argued in Incendiary knowledges, we need to ‘world’ our ‘worldly knowledges’ and think carefully about the hyphen in power-knowledge. 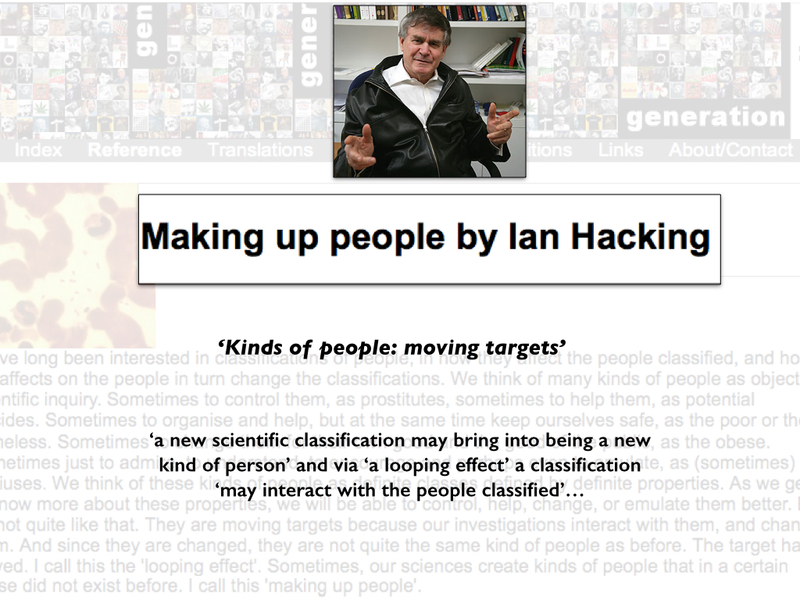 Bruno Latour once playfully identified four deficiencies in actor-network theory – the three words actor, network and theory, plus the hyphen – which prompts Ilana Gershon to describe the hyphen as a ‘trickster placeholder’. It’s an artful conceit, but I think we should take the ‘place’ in ‘placeholder’ seriously and think some more about the spaces in which and through which knowledge and military power are entangled. 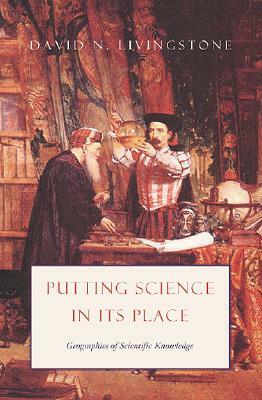 David Livingstone provides some clues in Putting science in its place: geographies of scientific knowledge (Chicago, 2003), but military power remains in the wings of his account, while Gerard Toal‘s discussion of the battlefield as one of geography’s ‘venues’ in the SAGE Handbook of Geographical Knowledge, edited by Livingstone with John Agnew (Sage, 2011) is substantively closer to what I have in mind, but it’s more concerned with instrumental modalities than the apparatus through which, for example, the historical battlefield morphed into the contemporary battlespace. That apparatus is at once conceptual and practical, and it is also – crucially – multi-sited, with circulations between (for example) districts in Afghanistan and Iraq, the Pentagon, and a host of military installations, defence industries and research institutions inside and outside the academy. In other words, the installation of battlespace – a diffuse, non-linear and unbounded space of military and paramilitary operations – at once exemplifies and engenders the contemporary ‘global’ to which Dirks directs our attention. Those notions are far more than ‘metaphors’, as he called them in the interview, or at any rate metaphors are rarely purely linguistic plays. In the case of many of our spatial concepts, these are not only – as George Lakoff and Mark Johnson might say – ‘metaphors we live by’ – but also metaphors through which others are made to (or let) die. The ‘human’ in human geography has come under increasing pressure in recent years, from both post-structuralism and post-humanism, and my own work on war is indebted to both of them; but my particular concern is the way in which the production and performance of particular spaces is an intrinsic and intimate part of a military violence that is all too human. In this paper, I draw from [Eyal] Weizman and also from Paul Virilio’s work on violence and vision and Derek Gregory’s research on aerial bombing and drones to examine a key principle of a theory of the terrain: the decisive importance of verticality in the deployment of state violence as a three-dimensional vector. The history of aerial bombing and the recent rise in the use of drones reveal that the control of the skies and the atmosphere —and the speed and global reach their spatial smoothness allows for— has become fundamental to imperial power. Yet the politics of verticality pose spatial paradoxes that can only be appreciated through the actual, tangible material-political terrains in which it operates. Contra the image of absolute deterritorialization it tends to evoke, the verticality created by drones is always-already subsumed to a spatial principle as old as warfare: that the ultimate aim of controlling a higher ground through towers, mountaintops, or the sky is to create a view from above to visualize, localize, and inflict violence upon targets located primarily on the ground. In short, drones patrol the skies not to control high altitudes per se but in order to control an opaque terrain below that limits the state field of vision. And despite their capacity for unleashing massive levels of destruction, drones reveal something else about the terrains of Afghanistan, Pakistan, or Yemen endlessly scanned by their cameras: that imperial ground forces do not control those spaces. This political voiding of imperial space by local insurgencies is made possible by another ancient principle of guerrilla warfare: the fact that the mastery of heavily striated terrain (mountains, forests, urban spaces) by flexible and mobile forces allows them to avoid visual capture by the state and, in the long run, wear down and defeat more powerful militaries. The verticality generated by drones, in short, reveals not only the vast spatial reach of imperial violence but also the profound spatial limits it encounters amid the political and material striations of the global terrain. More at Gaston’s Space and Politics blog here, with links to his other postings on these ideas and news of his book project, The After-Life of Places: Ruins and the Destruction of Space, forthcoming from Duke. He promises more to come! The Violence and Space sessions will evidently be very lively: Stuart Elden has also published his abstract, “Urban Territory: Violent Political Technologies in London and Kano”, on his Progressive Geographies blog here. Horizontal notes on the vertical: I expect most readers will know of Eyal’s work on the politics of verticality, most obviously through his book Hollow Land: Israel’s architecture of occupation (2007 – paperback out this year), and Stuart has become interested in similar issues: see the video of his Secure the Volume: vertical geopolitics and the depth of power here. Steve Graham has also called for a ‘vertical turn in urban social science‘: you can listen to it here, and read his essay with Lucy Hewitt, “Getting off the ground: on the politics of urban verticality”, in Progress in human geography (Online First: 25 April 2012) doi:10.1177/0309132512443147. Enough to make you giddy.